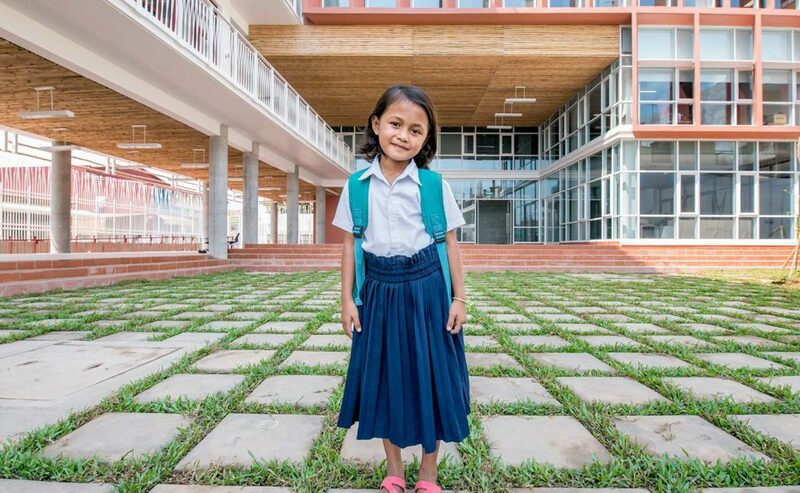 Boston, MA – February 16, 2017 – A new, state of the art education facility in the heart of Steung Meanchey’s most impoverished communities will open on February 16th, just 300 metres from where the notorious former Phnom Penh landfill site once stood. The Academy was fully funded and constructed by Velcro Companies for Cambodian Children’s Fund (CCF). The five-storey NCA will host 400 students, 30 teachers, 15 classrooms, 4 teacher workrooms, 2 international standard science labs, 2 computer labs, an art studio, a gallery space, a teacher training hub, e-learning facilities, a rooftop garden and a sports court. All are designed to work together to create a new generation of multi-skilled and fully rounded students.